English; Turer I have earlier written about my wintry trip through Sarek NP in northern Sweden. In this article I will focus on some of the gear I brought along. In fact, I repeated a trip made 29 years ago, in 1981, but with much less gear, sweat and swearwords. In 1981 I started out with 42 kilos on my back, this time it was 17 kilos and it was not on my back for much of the trip. I dragged it behind me in The Incredible Rulk. 'Base weight' is what I always carry in my pack, 'equipment' is a k a skin out weight. Total weight includes food and fuel. 4127 grams (excluding the Rulk). Maybe my rule of thumb for 3-season backpacking, 3 kilos for the three big ones a k a '343' should be replaced by '443' for winter trips? Comments in Swedish here at Utsidan, in English below. For other articles on this trip, search for "Across Sarek". So you carry two burners? Is that in case one fails on such a cold, remote route? I'm looking at a Primus Spider as my stove for next winter. I had planned on using tent pegs and a velcro strap to invert the cannister but would like to see a photo of your microwave soup bowl cradle. It sounds light and cheap! Well, the Spider was a first time serious test and for such a long trip I did not want to risk anything. I knew the Micron would work well and the weight penalty (100 g) was small. I also had a hunch the Micron would work better/feel safer inside the tent. I was right about that. I'm planning to write a separate article about the stoves and the considerations, when I get around to it. Jörgen this is a very useful gear guide. I too am moving towards the use of gas more and more because of its simplicity in use. I look forward to your detailed report on gas stoves. In winter you use the Paramo top because there is less moisture in the air? But in summer you use which top? How do you store your BPL ti foil when hiking? 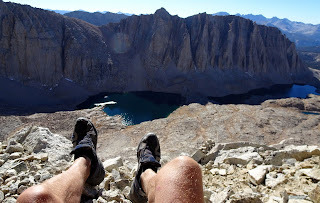 I have never taken it hiking because of the weight of the tube it is enclosed in. I had never thought of carrying a card reader. Obviously I stayed with the canister stoves, and do not regret it. I might have if it had been -30 C or colder, who knows. Yeah, I really like the Paramo for winter use. 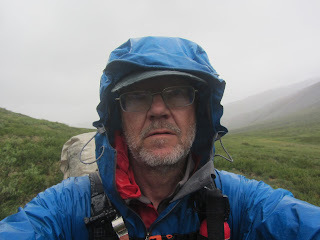 It is a bit to warm and heavy for summer use, but I agree with Chris Townsend (who was the one that led me to Paramo) that when it is cold enough for you to be able to wear it all the time it is excellent. It is very soft and comfortable, breathes better than Mextex (no icing on the inside) and waterproof enough for wet snow and slush. The cardreader was because almost all photos from Yellowstone last fall was destroyed by a crashing card. But the reader was a mistake, it did not work at all, perhaps due to the cold. And it is heavy. I had brought 3 different memory cards that I rotated and will stay with that system (maybe 1 for each day) in the future. Interesting. I would have thought that the pre-heat tube of the spider would be very important for temperatures around -20C. Does the Micron really work for that cold temperatures? All you have to do is keep the canister reasonably warm by keeping it in the front pocket of an anorak or in the sleeping bag. So one conclusion of my trip is that I do not really need anything but my top mounted canister stove unless I go in deep winter and expect -30 C or colder. And then I will probably bring a Trangia, which is foolproof. They do take an awful lot of fuel at those temperatures, and are not fast.